The Future Development Trend Of The Integral Decoration,how Should The Material Supplier Do It,how To Deal With The Home Design - Listen To What The Big Shot Say. Regardless of how home decoration styles and material applications change, the wave of “customization” is becoming more and more turbulent, and around “customization”, each enterprise is studying how to improve the experience of products and services, how to improve the speed of response. 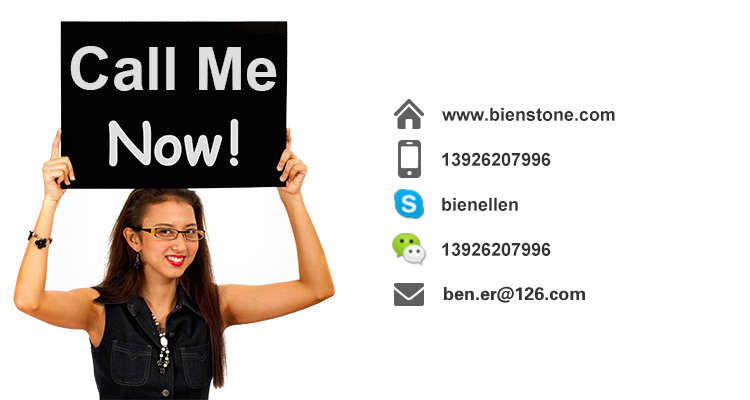 Bienstone's product development starting point is to cater to the needs of the user's experience, whether it is for customers or consumers. Bienstone's upcoming new designs are also based on the idea of “easier to design, match and apply”, and the product features are also designed to enhance the end user’s sense of experience and to run up the road of "customization". 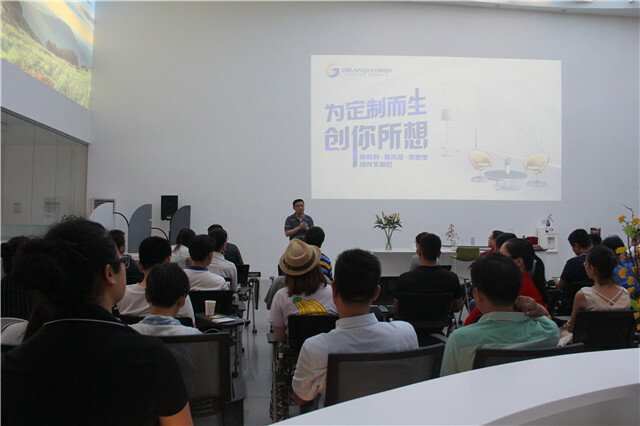 On July 10th, Gelandy held a “Born for customization, create what you want” Salon Exchange meeting to discuss how to realize design effect by different material application. The Salon also invited Ms. Hu Yanan, Secretary General of China Architectural Decoration Association Housing Industry Branch, Mr. Tang Ren, Deputy Secretary General of China Architectural Decoration Association Housing Industry Branch, Chief expert of Real Research Think Tank and Mr. Liu Xiaofeng, chief designer and design director of REBON to share with guests the development trend of the customization industry, the current trend of home furnishing and the design and application of materials. The exchange was preluded by Ms. Hu Yanan. Mr. Tang Ren share the development trend of the customization industry. Secretary Hu and Mr. Tang have all mentioned the importance of user experience in the customization industry. Secretary Hu said that the industry is changing with each passing day, and the demand for good products and good services will not change. In the situation of changing industry and consumer behavior, it is especially important for Gelandy dealers to continue providing good services. Mr. Tang mentioned that the home decoration from the past "building materials, furniture" to the current "general home decoration" is a process of improving the user experience. In the past, the operation effect and user experience of traditional home decoration were poor, the industry efficiency was low, and the development was slow. Until the development of the Internet, its operational effects and user experience have been improved, and the industry developed rapidly and presented a prosperous scene. Nowadays, consumers don't want a single item. They no longer focus only on which brand of tiles and which brand of toilet, but their final demand is the integral decoration, how to meet the needs of consumers and enhance the consumer experience and speed up the reaction is the key to development. 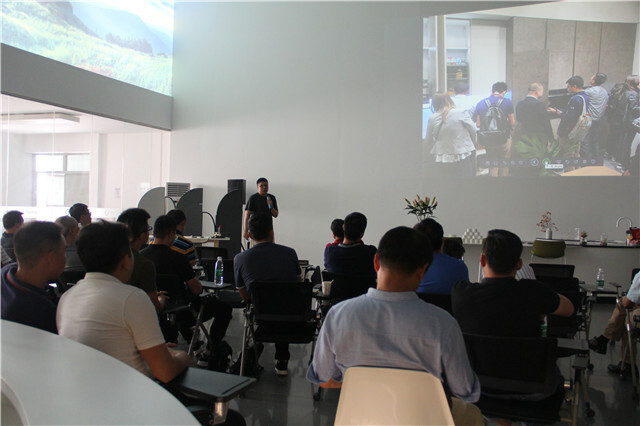 Mr. Liu Xiaofeng share the trend of home decoration style and the visit to Milan. Mr. Liu also mentioned the importance of speed. REBON has applied the material to the extreme in product research and development, and has not let go of any detail. The updating iteration of the product is also the continuous improvement of the user experience based on the mastery of consumers’ purchasing behavior and use requirements. 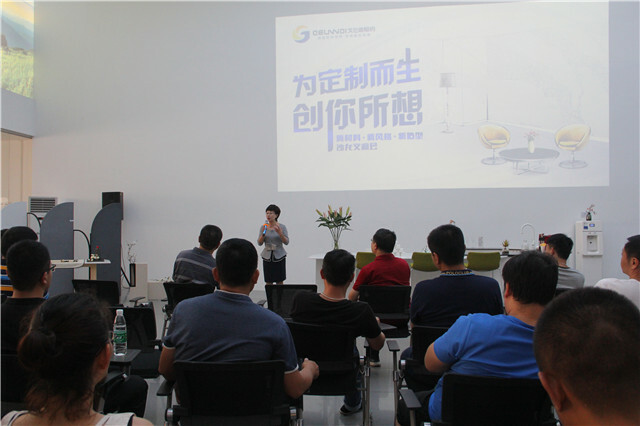 The chief engineer of Gelandy analyzed the application and process of solid surface in indoor space. In the wave of customization, there has recently been a wave of solid surface sanitary wares. 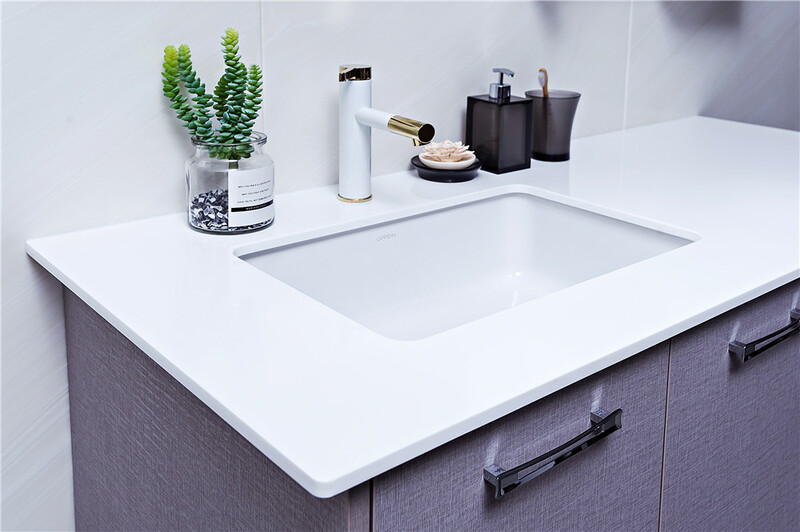 In Shanghai Kitchen & Sanitary Exhibition this year, solid surface has become widely used in the increasingly popular customized bathroom applications. Not only sanitary ware, the application of solid surface in indoor space is far beyond everyone's imagination. The Gelandy Experience Hall displays solid surface applications in many aspects. Solid surface has unique advantages in plasticity, weather resistance and customization. It also has a wide range of application fields in the whole house customization and commercial space. Must be the seamless splicing, strong styling, flame retardant and fire-resistant, low water absorption, easy to care and other excellent performance of solid surface making more customized creative design become a reality, so as to meet the personalized needs. In general, facing the wave of customization, for us material suppliers, it is an opportunity outweighing challenge. 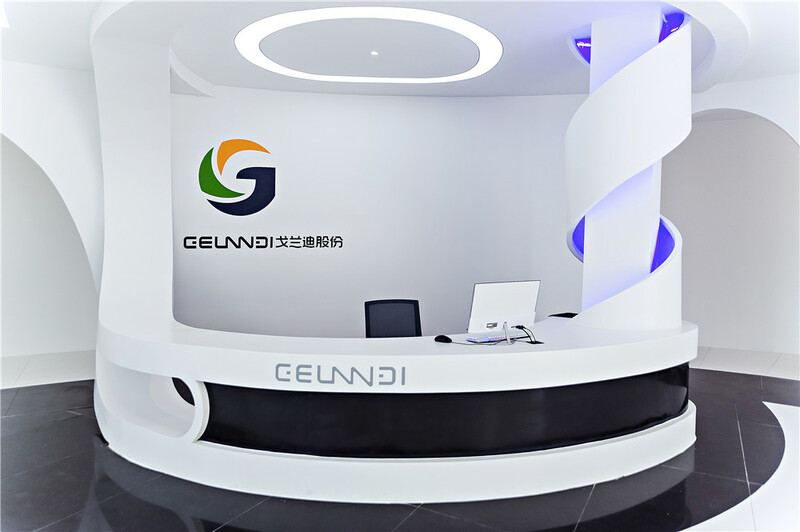 In addition to providing good products and doing good services, Gelandy will continue to provide environment-friendly materials with high quality, cost performance and plasticity for home furnishing companies and designers research.